Finisterra Arrábida Art and Tourism Film Fstival 2015. 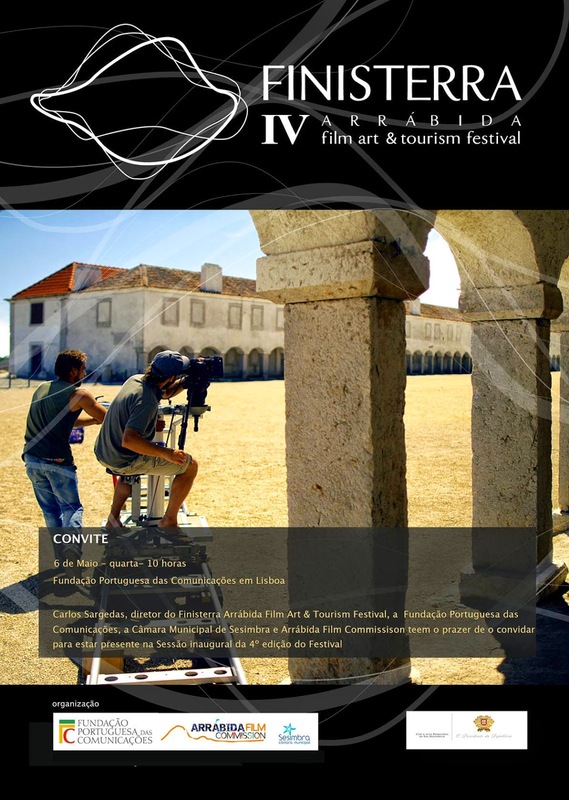 From 6 to 10 May will take place in Sesimbra and Lisbon the fourth edition. Finisterra Arrábida Art & Tourism Film Festival. At contest will be 178 films, including small ads and documentaries, from 48 countries will be shown during this week. The Finisterra Arrábida Art & Tourism Film Festival aims to promote Cape Espichel region and the Arrábida Mountaint as stageb for cinema filming. This region has served age movie stage as “The House of the Spirits,” “Gulliver’s Travels,” “The Russia House” or “Night Train to Lisbon”. Competition films will be entered into four categories: Advertising, Tourism Promotion, Documentary and timelapse. Since its first edition in 2011, this Festival, with its epicenter in Sesimbra, had side events. This year is no exception. There will be photo exhibitions, extra sessions of short films and a documentary, theater and music concerts and an international conference in the various festival partners. See the brochure here. All these events are free entry. The Cineteatro João Mota / Municipal Library and the Sesimbra Hotel SANA Sesimbra have accessibility for wheelchair users.